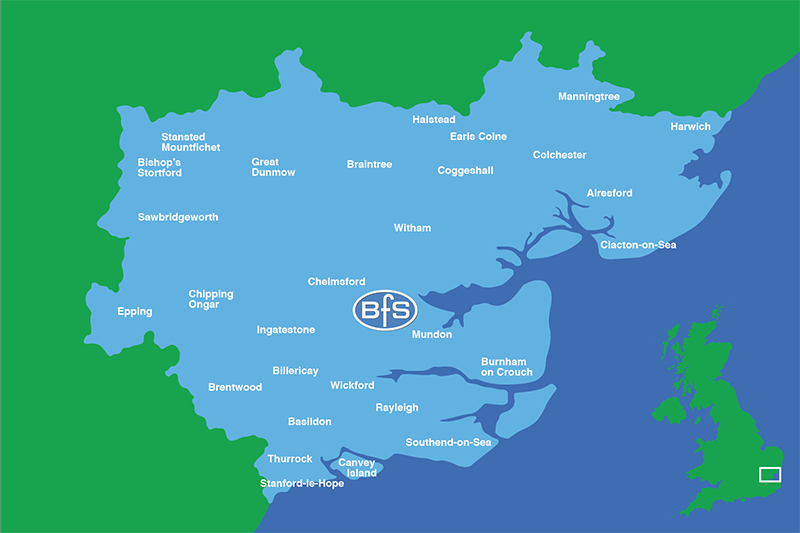 Based in the heart of Essex, BFS deliver all over the county and beyond - free of charge. Our centrally-based depot and our modern BFS tanker fleet enable us to provide a speedy response, from order placement to delivery. If your home is not within the blue area on this map, please get in touch. We may still be able to help you. Easily recognisable in our familiar blue tankers, all our drivers are local and fully trained. They are proud of their reputation for reliability, knowledge of the area, and skill in handling all types of domestic oil and farm fuel. They will endeavour to deliver your BFS heating oil within two to three working days of you placing your order*. And, if they have access to your tank, they can fill it while you are out. Order your BFS domestic heating oil now. *During the winter months, particularly at Christmas and in sudden cold spells, when demand can be very high, delivery times may be a little longer. Try to check your oil before a busy period. "I have been a customer with BFS for 16 years and have always found both office staff and drivers friendly, and happy to help in an emergency!"